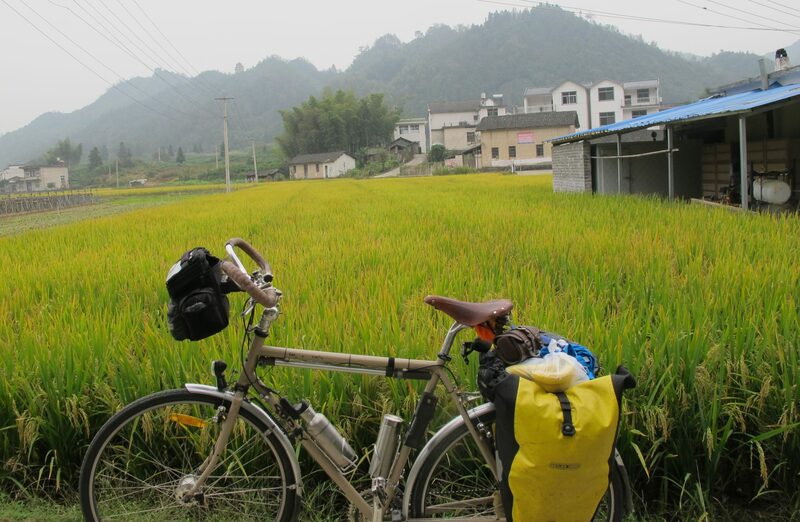 Even though I was convinced I could cycle around China unsupported after my wonderful Beijing experience the previous year, I felt I needed a local connection to help get me started, I now do not need this local support, but in 2014 before my first solo ride, I did. First I chose Hangzhou as a destination, I had always wanted to see West Lake and I though it would be good to start with only the fourth largest city in China, over 20 million people, but with many ancient buildings, water towns and also being the southern terminus of the Grand Canal. I searched the website/app warmshowers, a community of bicycle tourists and those who support them, to see if I could locate a local in Hangzhou who might give me tips or even accommodation. I contacted a few locals and quickly received a reply from the lovely Maggie who would be happy to let me stay with her (and her parents) at the beginning and end of my bicycle tour. She also mentioned she was backpacking in Tasmania with two friends and could they all stay with me in a weeks time…. (my wife and) I of course said yes. This was a great decision and I benefited greatly from this over the next few years. Maggie and her friends stayed for a week, resting up and planning a drive around Australia once they bought a second hand car. My wife and I passed on the highlights from our own road trips, we cooked each other our favorite dishes and I took them all out for bicycle rides. It was a lovely experience and we had built up lots of brownie points or guanxi for my later trips to China. Once I had a destination, I then selected October (Autumn in China) after the week long national holiday, it is relatively quite and still warm in Eastern China. I booked a return flight that included 30kg sports luggage and carry on. Sports luggage can include a bicycle in a box. My touring bike, a Surly LHT, is well under 30kg, so this allows me to pack most of my clothes and equipment in with the bike in the box. Just make sure you weigh the loaded box before getting to the airport, as I discovered airlines in Australia strictly follow the law, it is illegal for the box to weigh over 32 kg, and anything over 30kg costs extra. So my tip is to carry tape and scissors to the airport in case there is a need to make last minute repack to lighten and then re tape the box. Poke the tape and scissors into the bike box through the hand holes in the box as you will not be able to carry them on as hand luggage. After weighing at check-in you may be directed to the oversize luggage loading area (this is what happens at Melbourne airport). Two weeks before your flight, pick up a bicycle box from your local bicycle shop for free and get some foam split tubes for protection when packing. I was not confident putting my bike into the box the first time, so I paid my local bicycle shop to pack for me and I watched closely and took mental notes, as I wanted to be confident I would be able to reassemble in China by myself. It is important to protect your bicycle and the box from damage, so add extra cardboard to cover the wheel axles, forks, seat post and handle bar tube ends, plus form around the frame. Also add a support between the forks to stop them being crushed. Work out a rough route/itinerary, I look for ancient towns, mountains I can climb around 50 to 60 kms apart, but I don’t have any fixed dates or bookings while riding. Check in with your airline to get the box weighed and then will be directed to oversize luggage (in Melbourne).